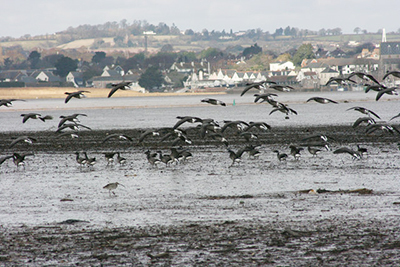 Bird Watching Cruises winter wonderland, watch the birds on the Exe River in January. Sail in comfort from Exmouth along the river. Very popular as your commentator is a leading ornithologist. The only trip with space is on Tuesday 22nd January 2019. Exeter Racing January Jumps 20th January 2019. Guided Bird Watching Cruises Cruising is a popular pastime, why not have a 2 to 3 hour cruise on the River Exe and see the wintering birds. Quite comfortable! Hear the commentary from a leading ornithologist. There are still spaces available in February 2019. Get in quick they went fast last year. South Devon Coastal Marathon 2nd February 2019. Picturesque and punishing!! They say it is "as as good as it gets". Another popular event. Wild Night Run February 9th 2019 10 miles and 5 miles.Both start at 6.00pm South Brent Village Hall. Pretty tough and pretty muddy. They say it is the 'jewel in the crown of the Wild Night Run series'. Crafters set the date for this one, you are not going to want to miss it!!! It is on 14th to 16th February 2019. Westpoint Arena, Exeter. The Show is exactly what it says it is, Reckons to be one of the largest in the southwest. Why not stock up for 2019 while you are there!!! Make sure you have comfortable shoes!!! Exeter Racing 22nd February 2019. Devon National Race Day. 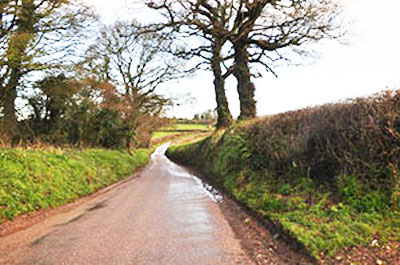 Devon country lanes in winter have their own unique character. They can be wet, covered in snow or hard with icy puddles. Those lanes still beckon the wanderer on. The trees are in their skeleton mode whispering (or howling) in the wind, can also be still and quiet. More of the countryside around is visible in winter. Exeter is the capital city of Devon. A bustling place with good shopping, shopaholics! Lot to do in the city. Great nightlife. Reckoned to be a high quality lifestyle for residents! Even has its own airport! Dartmouth is in the Devon Area of Outstanding Natural Beauty. Lovely old town and area on the River Dart. 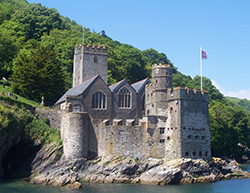 Dartmouth Castle is one of two forts, the other being Kingswear Castle that have guarded the river mouth since 1388. Dartmoor National Park all 368 square miles of it. An ancient stretch of moorland that has seen human habitation for aeons. Tors, standing stones, wonderful wildlife. The Ministry of Defence have firing ranges over part of it. See Dartmoor Trails. Newton Abbott a delightful market town on the river Teign famous for its racecourse. That tower in the centre is St Leonards Tower all that is left of a chapel that was built in 1220. "The first declaration of William, Prince of Orange, the glorious defender of the Protestant Religion and the liberties of England, was read on this pedestal by the Rev John Reynall, Rector of this parish, on November 5th 1688." William of Orange stayed at Forde House in the town before moving on to London to take the crown with his wife Mary. Clyst St Mary is a village close to Exeter. It is home to West of England Showground and the Crealy Adventure Park. It is famous as a site for a decisive battle of the Prayer Book Rebellion in 1549 when the rebellion was quashed at awful cost to the village. Beesands is a tourist and fishing village on the South Devon coast. Apparently Keith Richards and Mick Jagger made their first public appearance in the Cricket Inn.